The United Arab Emirates (UAE) city of Dubai, through its Gold and Jewellery association, has launched a gold promotion program that offers jewellery shoppers the chance to win 13kg of gold and cash prizes totalling $545,000 (2 million Dirham). Emirates 24/7 reports that during the Dubai Shopping Festival, there will be daily and weekly raffle draws, coupled with 500 gold coins given away every hour on the hour. 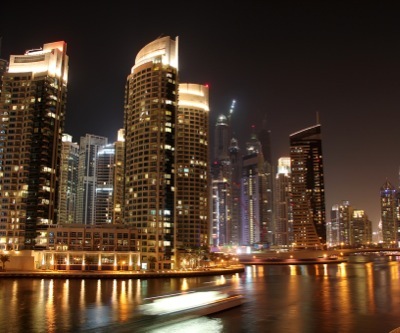 Often referred to as the “City of Gold,” Dubai has played a significant role in the growth and development of the global bullion market, gaining the status of premier gold and precious metals hub. A mere three years after Dubai shocked global markets saying it would be unable to repay its debts on time, it seems that the emirate wants to let the world know the bad times are history. Dubai may not be reducing its $110 billion debt mountain, almost half of which matures between 2014 and 2016, but cash is flowing through the system, calming bankers’ fears about the city’s solvency. The government has recently unveiled a series of ambitious real estate projects, from a giant replica of the Taj Mahal to the prospect of leafy suburbs being torn up to extend Dubai’s creek.